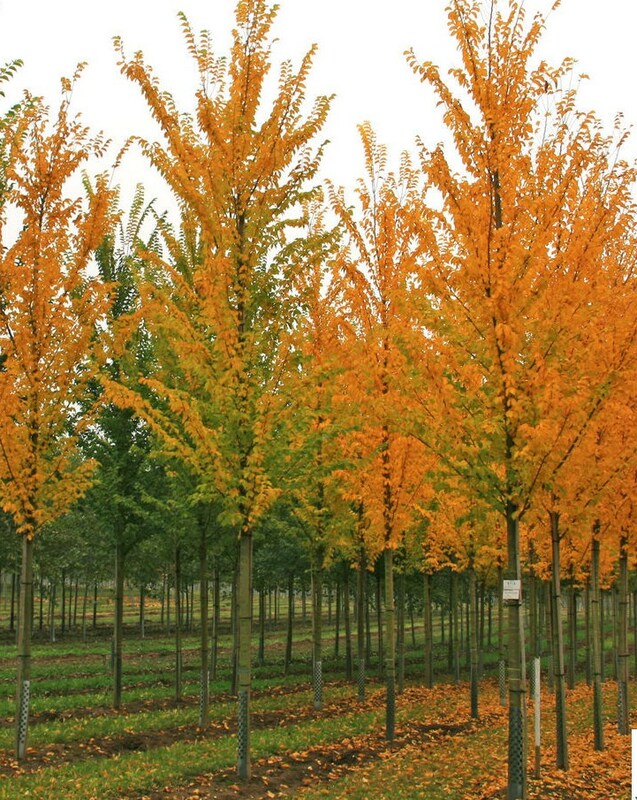 Ulmus hollandica Lobel forms a pyramidal tree with a dense crown with short branches growing close together. The fairly small rough leaves are dull dark green with dense veins and a double-serrated edge. They are bronze coloured when they emerge, remaining on the tree for a long time, often until late November. The light reddish-brown leaf buds are a remarkable feature. It is very resistant to sea wind, making it suitable for use in coastal areas. It favours moist and light soils. A 30% discount will be applied to ex VAT orders of trees worth a total of £2500 or more. The discount applies to the tree stock value of the order only, not to delivery and planting etc. Prices correct as at May 2017. E&OE. Please use our enquiry form to request a detailed quotation.